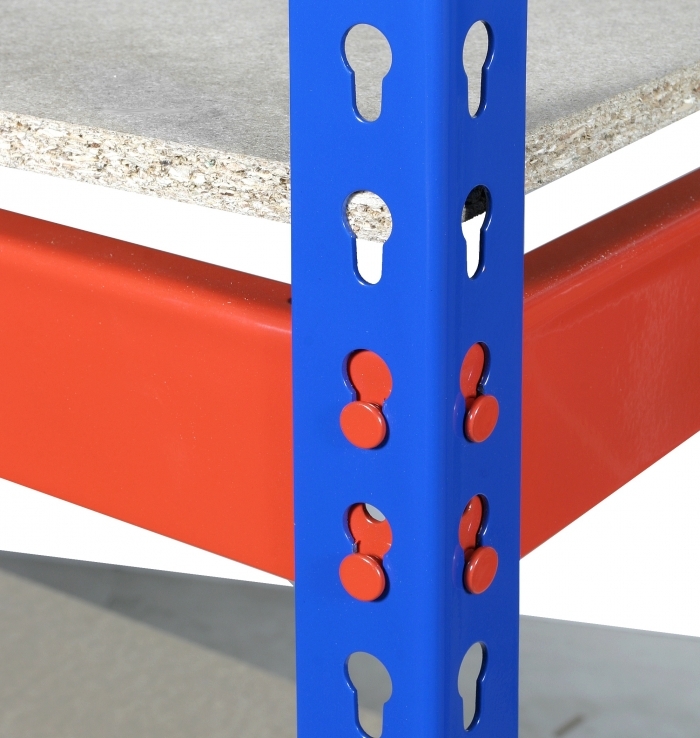 Our best selling Short Span Rivet Racking system which offers incredible value for money, whilst offering incredible strength and rigidity. 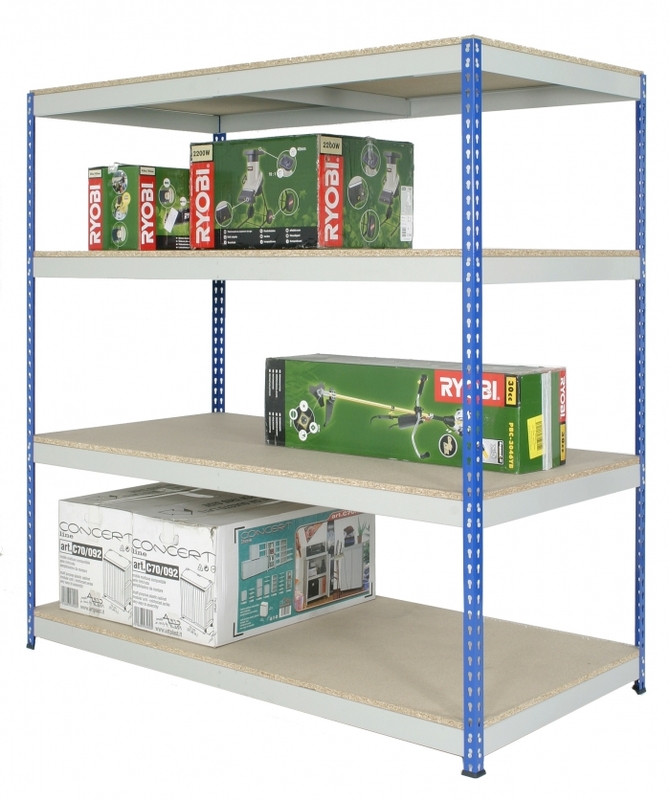 This is our best value wide span shelving system. 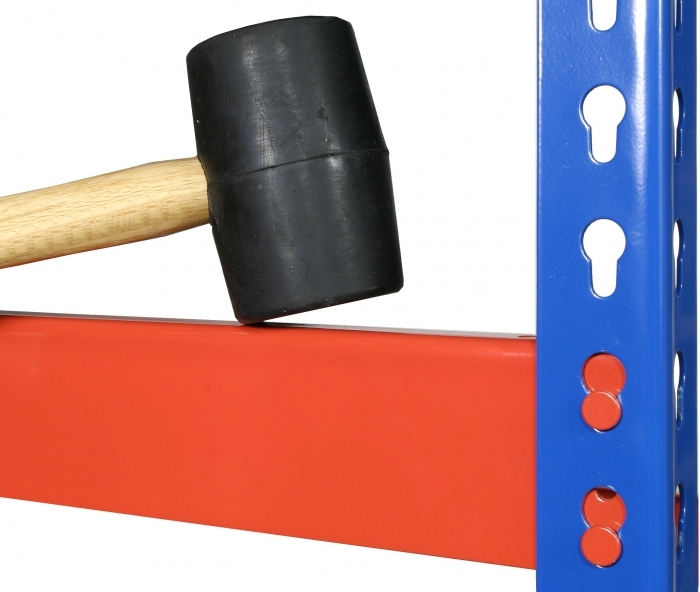 The Short Span Rivet Racking system is yet simple to build with all parts being tapped together by a rubber mallet. 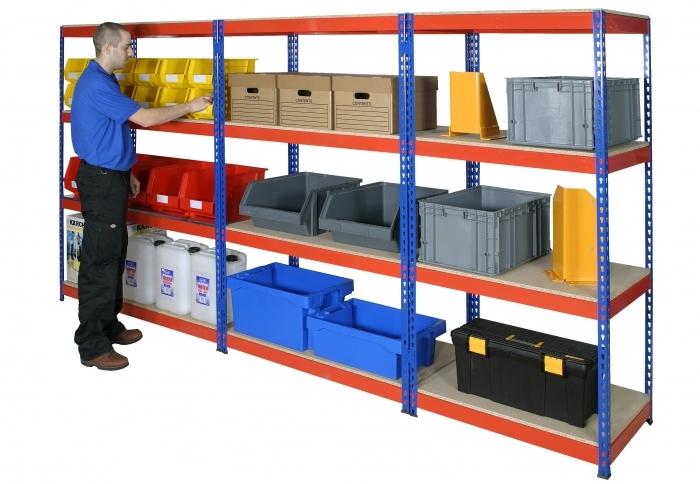 Each of the 4 shelves you receive has a shelf load of 550 KG UDL. 1830mm (H) x 1220mm (W) x 915mm (D). 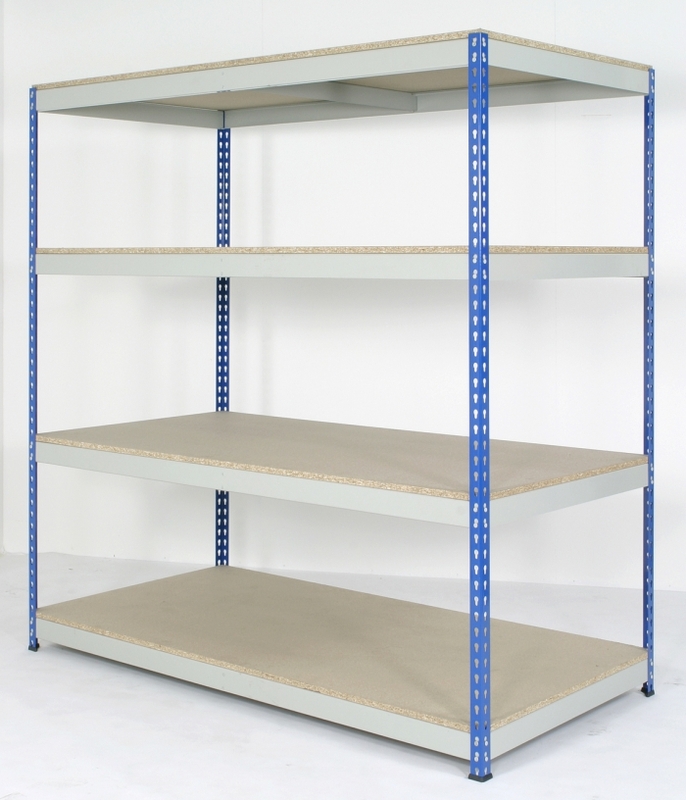 Choice of colours include - blue uprights and grey shelves or blue uprights & orange shelves. All bays come with uprights, plastic feet, perimeter beams, deck supports & 15mm chipboard decking.